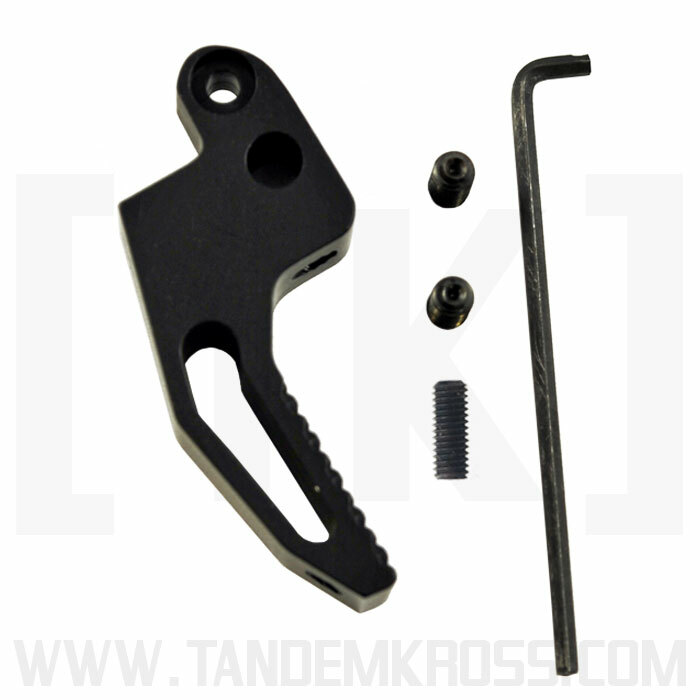 The TANDEMKROSS "Victory" Trigger is the ultimate Ruger® 22/45™ trigger upgrade - the best adjustable competition trigger on the market. The trigger of any firearm is critical and must give the shooter as much control as possible. The sleek, skeletonized, and lightweight design of the TANDEMKROSS "Victory" Trigger for Ruger® MKIII™ 22/45™ and Ruger® MKIV™ 22/45™ LITE provides a flat face that many shooting pros prefer as opposed to the traditional curved triggers commonly seen in the Ruger® 22/45™ market. 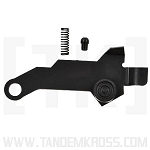 This design allows the shooter to pull straight back instantly providing the operator with the ability to tell if they are pulling too far to the left or the right. 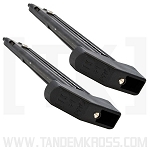 The flat faced design also allows the operator to place their finger lower down on the trigger, increasing leverage and enabling them to take full advantage of lower trigger pull weights. The wide face distributes the weight of the trigger pull which also results in a perception of a lower pull weight. All of "Victory" Triggers for Ruger® 22/45™ are textured, providing a no-slip surface regardless of speed, weather or shooting experience. This allows repeatable, near identical trigger pull movements. 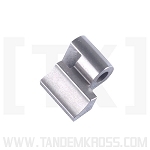 Coupled with the provided pre-travel and over-travel fine adjustment screws, this TANDEMKROSS exclusive trigger will bring any competitor a giant step closer to VICTORY! 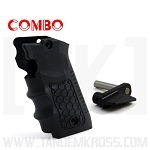 *Note: This trigger does not work with the Ruger® MKIV™ Hunter, Competition or Target with a metal frame. 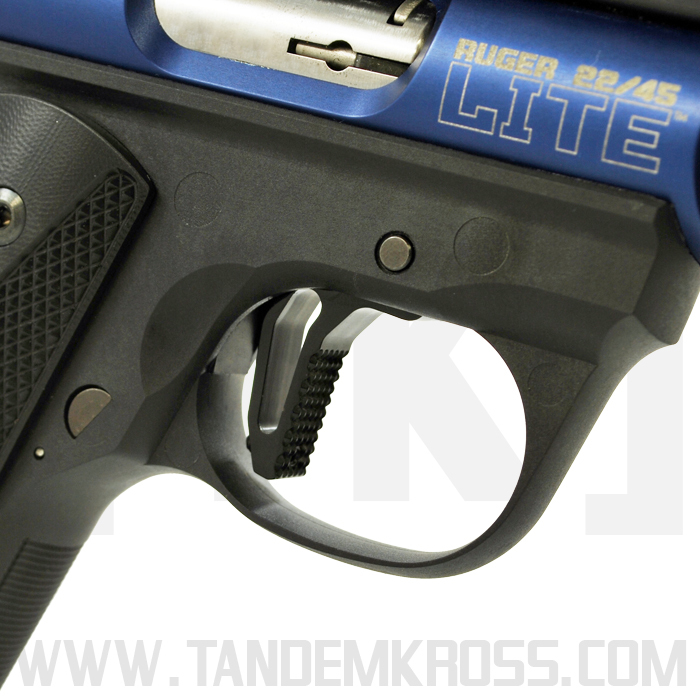 For a Ruger® MKIV™ trigger, click here. 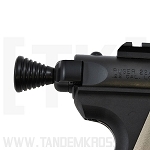 *Note: This trigger is also compatible with the Ruger® MKIII™. However, because the trigger guard is smaller in the Ruger® MKIII™ there is less space around the trigger. This may be a concern for users with large hands or when wearing gloves. For more information on the "Victory" Trigger's compatibility with the Ruger® MKIII™, please watch our YouTube installation video above. The trigger is shown in the MKIII™ at the 8:20 mark. Let's just say that I now have my Volquartsen trigger in my spare parts bin probably never to be used again. This absolutely destroys the VQ trigger. 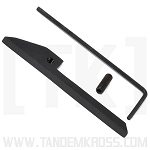 The TK "Victory" is wider, has a nice feeling flat face which helps with consistent trigger pulls, and is better looking. I didn't think I would like the "textured" version as much as I do (I ordered both trigger face types for my two 22/45's). It really gives a nice grip so your finger doesn't slip if it is wet/sweaty. 5 stars TK! 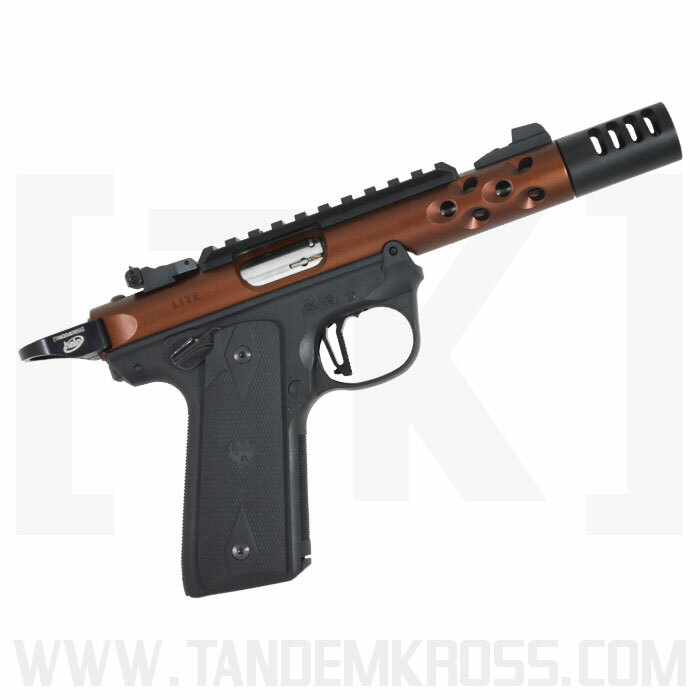 I am glad I found this trigger on Tandemkross website. I was about to order the Volquartsen trigger but did not like how the set screw stuck out right where you finger goes. No problem with the Victory Trigger. I purchased the smooth faced trigger and love it. I like the style and finish. Came with instructions and was very easy install. Came with a tool that made set screw adjustments a breeze. Spent 30 minutes this morning installing my textured Victory trigger and getting it adjusted, so easy I'm not sure it counts as a Mod at all. Wasn't sure about the textured model but now I love it. More good stuff from Tandemkross, keep up the good work guys and gals. This trigger is fantastic! Very well designed and machined. The install instructions are crystal clear with color photos. I'm very glad this new product is finally available,get one you'll love it, worth every penny and made in USA! Got my Victory trigger yesterday. Installed it this morning then went out back to try it out. Loved it! I shoot steel challenge and rimfire challenge with this gun. It gives you more trigger control, you don't have to worry about getting you finger on the trigger "just right" to have control when shooting fast. Now I need to order a smooth one so I can try it out. I have been trying to figure out how to make one when Tandemkross did it for me. Thank you. Q: On my MK III 22/45 I have the Volquartsen kit with Sear Hammer and bushing to allow magazine safety disconnect. The trigger pull weight is perfect and I am pleased. 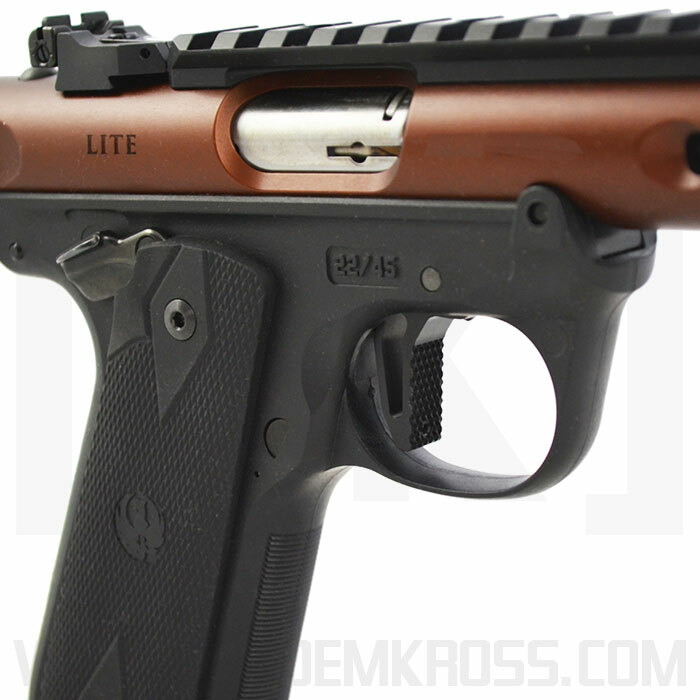 My question is can I leave the Volquartsen parts in and just replace the trigger with your victory model trigger and keep the light crisp pull I have now? ? 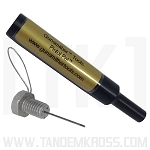 A: Yes our Trigger is compatible with the Volquartsen Hammer and Sear. Q: What is the approximate pull weight? A: The Trigger pull weight can be as low as 2.5 lbs. Q: Why is there three screws in the package with my trigger? A: The third screw which is the longer of the three is only to be used if you have the MKIV 22/45 models. 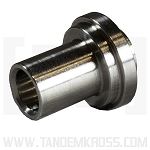 The nylon tipped screw is to be used for the over travel to help prevent marring of your trigger guard. Q: The set screws are so loose they loosen up when shooting. What can I do to make them more secure and tight? Just bought them from you and only 30 shots shot and they loosened up after just a few shoots. A: We recommend using blue loctite on the screws. Set them to where you like then use a drop of the loctite. Please remember that blue loctite is not a permanent glue. You should check the screws every few weeks to make sure they are in the correct place and add more blue loctite if needed. Q: Will this upgrade speed up the action? 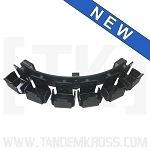 This design allows the shooter to pull straight back instantly providing the operator with the ability to tell if they are pulling too far to the left or the right. The flat faced design also allows the operator to place their finger lower down on the trigger, increasing leverage and enabling them to take full advantage of lower trigger pull weights. 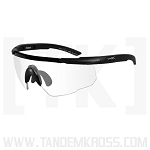 The wide face distributes the weight of the trigger pull which also results in a perception of a lower pull weight. All of "Victory" Triggers for Ruger® 22/45 are textured, providing a no-slip surface regardless of speed, weather or shooting experience. This allows repeatable, near identical trigger pull movements. 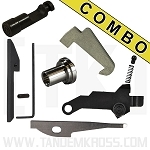 Coupled with the provided pre-travel and over-travel fine adjustment screws, this TANDEMKROSS exclusive trigger will bring any competitor a giant step closer to VICTORY! Q: Interested in this trigger. Do you have a video or printed instructions I can look at? Does it replace/remove the plunger? A: We do have a video on youtube. You can also find the video by going to our website and viewing the 22/45 Trigger. 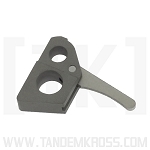 Q: Do you have this trigger for the MKIII ? I mean not the 22/45 version. A: The Victory 22/45 Trigger will fit the MKIII. However due to the trigger guard being smaller on the MKIII it will make the trigger guard a little tighter. There is a video so you can see for your self. Go to youtube type in 22/45 trigger, it will have a picture of the Blue 22/45 lite. Around the 8:20 min mark Brian shows what it will look like. Q: Will the Victory trigger work on a MkIII Hunter? A: The trigger will work on a MARK III but the trigger guard is smaller so with the added pull length of the Victory trigger it can be a tight fit in the trigger guard for a large handed shooter. Q: Does this fit the Mk II 22/45 model? 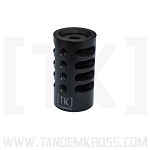 A: Our Tandemkross 22/45 Victory Trigger will NOT fit in the MK II. 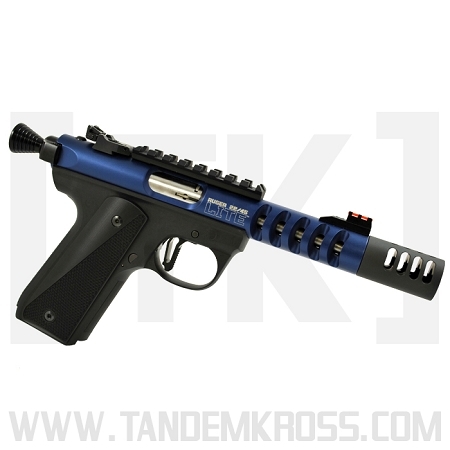 Q: Will this trigger work with the Mark II 22/45 or only with the Mark III? A: This trigger will NOT work with the MKII 22/45.